Golden Cocker Retriever is a mix dog breed between a Cocker Spaniel and Golden Retriever. The dog is also known for other names such as Cogol and Dakota Sports Retriever. 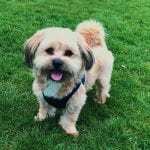 Highly energetic and keen for adventure, this dog is perfect for families. A Golden Cocker Retriever is meant to offer many magnificent things. You might mistake that due to its size, the dog is low maintenance. This one will likely keep you on your toes. Be that as it may, this designer dog will surely give you lots of love as one of the most lovable and affectionate dogs there are. It is one of the most popular hybrids since decades ago, one that is rare and beautiful. For that reason, it is likely going to cost you a bit to get your hands on a lovely Cocker Spaniel Retriever Mix. Either way, if you are thinking of getting a Golden Cocker Retriever, this article helps to provide you with all the information you need. Does Golden Cocker Retriever Train Quickly? 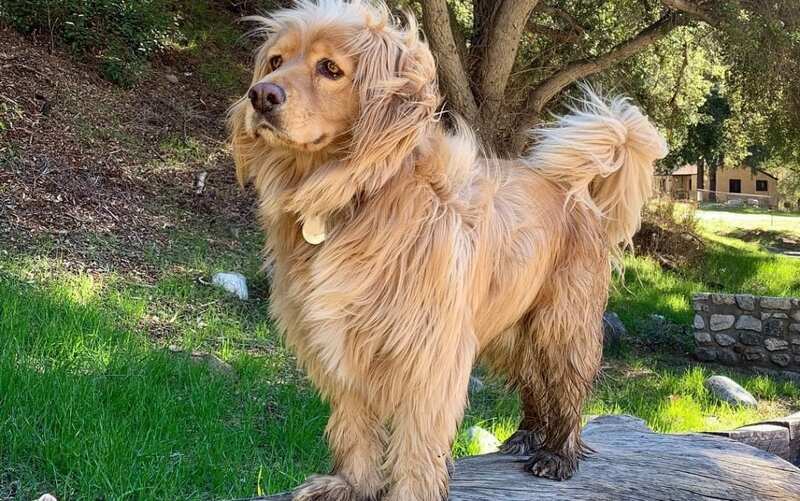 How big do Golden Retriever Cocker Spaniel Mixs get? Does a Golden Cocker Retriever Shed? What kind of health problems do Golden Cocker Retrievers have? The origin of the Golden Cocker Retriever has not been documented. As such, not many things are known regarding where it came from or how the breed came to be. The suspicion is the breed was the product of the last couple of decades’ designer dog trends. Most people will say that this breed is relatively new, possibly around the 1990s to the 2000s. However, it was mostly assumption based on the general observation in the popularity of the designer dog breeds. The Golden Cocker Retriever could have been around as early as the 1980s. As mentioned before, this breed is a cross between the Cocker Spaniel and Golden Retriever breeds. According to available information, the Golden Retriever was first bred at the Lord Tweedmouth state in Scotland. Lord Tweedmouth was known to want breed to all kinds of animals. One of his breed aims is to breed the ideal Golden Retriever, one that has an extraordinary nose along with real personality. It was only in 1920 when the name of the breed became Golden Retriever officially. Then, the breed was recognized by AKC in 1932. On the other hand, the beginnings of Cocker Spaniel were in the 14h century in Spain. It was initially bred as a hunting dog and became the most famous dog in the U.S. in 1936. The Cocker Spaniel is from two classifications – the American and English Cocker Spaniel. The English Cocker Spaniel is larger than the American Cocker Spaniel. It also has a shorter black muzzle during the English Cocker Spaniel as a narrow head. Both Golden Retrievers and Cocker Spaniel are a great combination as both are playful, easily trainable, and gentle. The hybrid breed looks so much a tiny Golden Retriever. It can inherit the physical traits from both its parents. Commonly, the GCR has a broader head than of the Cocker Spaniel breed. It has deep-set and slightly almond-shaped eyes with long, curved, and upward pointy tails. Compared to a Golden Retriever, the GCR breed also has longer ears, sometimes touching the cheeks. Its eyes can be parti-colored or can be blue, green or the shades of brown. Sometimes, you will find a Golden Cocker Retriever with tufts of fur between the toes. Regarding coat, it can also inherit the length from either parent’s breed. Usually, the coat is medium-length, straight, silky, and smooth. It can be flat just like a Golden Retriever, or it can be like the curls of a Cocker Spaniel. Golden Retriever Cocker Spaniel Mix have a water-resistant coat as well as an undercoat that keeps it warm. As for the coat colors, it comes in variety with the cream and golden color being the most common. Other coat colors and patterns you can find include white, black, black and tan, chocolate, red, roan, merle, and parti-color. This breed is medium-sized with a broad build, requiring the right amount of daily exercise outdoors. Golden Cocker Retrievers usually stand around 20 to 24 inches, weighing an average of 30 to 45 pounds. The breed stands a little smaller than the Golden Retriever but slightly taller than a Cocker Spaniel with a thick and slightly curved tail. The breed’s legs are parallel with strong, powerful paws. Golden Cocker Retrievers have dark eyes, which he has inherited from both his parent breeds. As for the snout, his is medium-length with a black nose. The personality of the Golden Cocker Retriever highly depends on the dominant traits of the parent breeds. 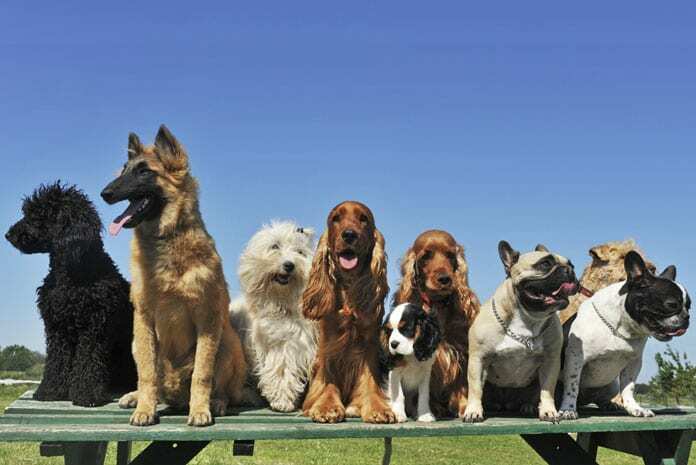 Usually, the breed is docile but social and energetic. He is also often the kind of dog with a large heart and quite affectionate. Golden Retriever Cocker Spaniel Mix are lovable, which makes them an excellent companion. They are great for first-time owners and families as they love to be around people that make them feel like part of the family. This breed is known for his friendly disposition, which makes him get along well with other dogs. They can quickly become friends with other pets in the household. Getting a Golden Cocker Retriever is not going to be a nuisance to you as this one’s not the loud barker, although it may still bark to unfamiliar visitors. You can help your dog become welcoming even to those he does not know with early training and socialization. As this breed is an intelligent cross of breeds, it is essential to keep him entertained with challenging activities. Golden Cocker Retrievers are loving, gentle, playful, and lots of fun to have around with your family. As a loyal canine that gets along well with both the children and other dogs, you will also like that it is an excellent watchdog. Since it loves to be playful, it is essential to keep him company and never leave alone for a long time. A Dog has high levels of energy. Because of that, it needs at least an hour of daily activity. If you are an active individual, you will find that this hybrid is a fantastic running partner. Both of you will love playing fetching, and you can even bring him for a swim. It is recommended that you take it for two walks a day. Additionally, you need to perform other activities that will stimulate the dog’s mind. Dog likes obedience trials so you might want to include that in his activities. The best environment for this dog is an expansive, fenced-in home at a rural area where the climate is warm. It isn’t ideal to care for this breed if you live in an apartment. It is because the dog needs to be able to frolic around and explore a few times daily. If he doesn’t get enough exercise, he may become destructive. Golden Cocker Retriever also likes to hunt small animals and may even bring some to you. This breed is active and likes to please. This dog also strongly desired work. Golden Cocker Retrievers are also highly intelligent with a high inclination to listen to his owner. With these qualities, you can expect that he will be easy to train. He is a quick learner that won’t need much repetition to learn the best behavior. As mentioned before, he likes mental activity, so best include similar activities when training him. Even though Golden Cocker Retrievers are known to have excellent disposition from both parent breeds, it is still essential that he undergoes early training and socialization. When training, it is best to keep things position, offering praise and rewards to encourage. Golden Cocker Retrievers usually live long lives. Their average lifespans are around 10 to 15 years. However, this breed is at risk at developing some health issues which could be genetics or simply deterioration that happens over time. Still, this particular breed of canine is a great pet that brings your family with joy and light. If there are any significant issues concerning the care of this breed, it would be regarding the grooming. Both of the Golden Cocker Retriever’s parents are hairy, which means that this breed generally has long hair as well. With that, you can expect that much hair that needs cleanup will be found at your place. Caring for this dog means you will usually face plenty of clean up and will need to maintain your dog regularly. It is essential that you always brush the dog’s hair since it tends to matte easily. Brushing your dog’s hair should be done at least three times a week to keep both your pet and home clean. It is usually only the fur that matters a lot concerning maintenance of a Golden Retriever Cocker Spaniel Mix. Besides that, one thing you need to keep in mind is to have him checked regularly for health issues. After all, this breed is quite susceptible to a variety of diseases. It would be best if you bathed him as much as necessary, shampooing with the type that prevents irritation and allergic reactions. Other than brushing the fur and regular health checkup, make sure to pay attention to his dental health and the cleanliness of his ears. You have to make sure to brush his teeth properly and clean his ears regularly. You can clean his ears using a damp cloth. Do this to prevent him from coming down with infections. 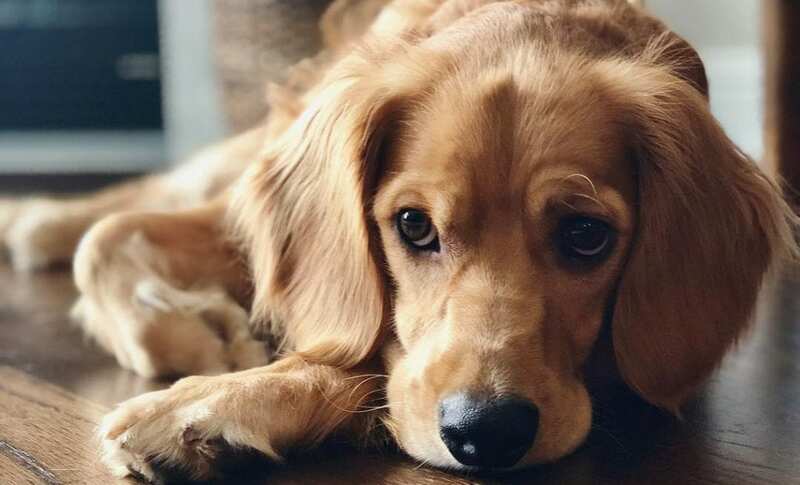 Many people think that a fully grown Golden Cocker Retriever is a “forever happy.” However, if that is what you think of, you might be setting yourself up to some disappointment. All that’s known about the breed is it can have a body weight that’s as low as 25 lbs. Alternatively, as high as 70 lbs. Usually, somewhere in the middle. Even when fully grown, his coat would be very short and profuse, with floppy ears. 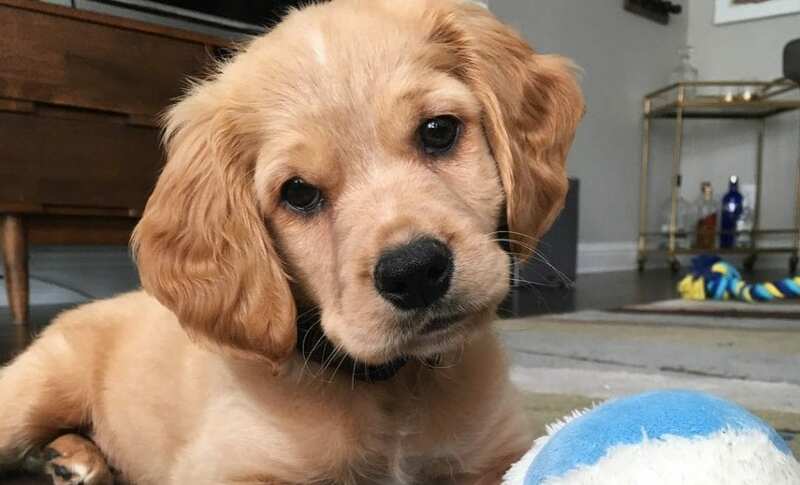 Golden Cocker Retrievers are appealing because it is somewhat of a mystery puppy. You can have a dog that grows into something unique. The only thing you can be sure is he will have roughly the same color as en you first picked him up. Golden Cocker Retrievers sheds moderately and regularly. Knowing that, make sure that you are prepared to vacuum your place all the time. It can help reduce the shedding if you regularly brush your pet. At the same time, doing this will help make his coat look and feel cleaner and softer. Are Golden Cocker Retrievers Hypoallergenic? Unfortunately, Golden Cocker Retrievers are not hypoallergenic. Golden Retrievers are not hypoallergenic. This breed also has genetic disorders along with other diseases. Cocker Spaniels are not allergic as well. Given that the Golden Cocker Retriever is a mix of these two breeds, it makes sense that this breed may not be suitable for people with asthma and respiratory problems. Crossbreed dogs have some health advantages that science has proven. In general, they have a longer lifespan compared to purebred dogs. However, the mix may still inherit some disorders that occurred after the years of inbreeding. This breed is vulnerable to health issues that their parent breeds are susceptible to, such as hip dysplasia. However, since he is a mix breed, he is stronger than a Golden Retriever or a Cocker Spaniel. Just like a Golden Retriever, is can be affected by hip dysplasia. 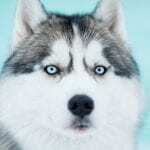 He is also susceptible to glaucoma or cataracts, congestive heart failure, kidney disease, entropion, luxating patella, and other diseases. Just like a Cocker Spaniel, the breed might be vulnerable to ear infections. With this susceptibility, it is essential that after bathing your dog, you have to make sure to dry his ears completely. 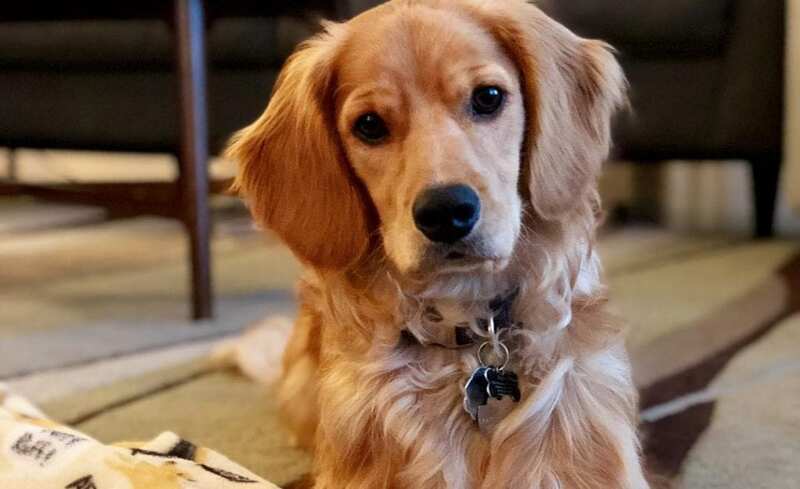 The Cocker Spaniel Retriever Mix is a long-living breed and so taking care of him will be a long-term commitment for you. In that case, you have to be entirely sure that you can take care of him full time. How Much Does a Golden Cocker Retriever Cost? Not every Golden Cocker Retriever you find will have the same price even if they come from the same litter. That’s because many things affect the price of this breed. Those factors include the high demand and low availability of the breed. At the same time, the registry of both parents with a kennel club matters as well. Some of the other factors in the price of the dog include the Golden Cocker Retriever is younger, has unusual coloring, size, or has other unique traits. The dog might be a bit expensive if one or both of his parents have won dog competitions before. Of course, whether the dog is free of any health issues – physical or mental – affects the price. If the Dog meets most of the perks mentioned above, you can expect that it will be more valuable and will cost a bit more than you plan. With that being the case, breeders and owners of this breed said that the average price is around $1,050. 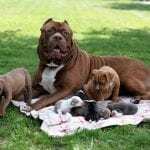 The minimum cost of the breed is about $650 while the maximum rate is around $1,500. Golden Cocker Retrievers are challenging to find. Because of that, you might not always have the best choice of a puppy. However, if you have great options, here are some of the steps that can help you choose the puppy that will suit your companion needs. Choose the most affectionate puppy as he will likely grow to be more tolerant of other people and animals. You will see if a puppy is friendly if he does not mind being the one on top or at the bottom during play fighting. Puppies who only want to be on top are likely dominant ones. 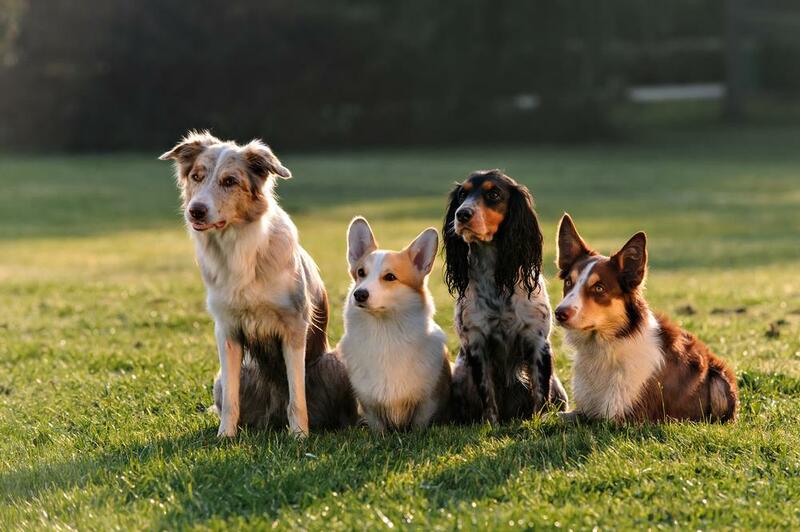 It is best to choose a social puppy as it means your new pet will enjoy being together with other people and animals even when they become adults. You can find out if the puppy is social if you see that he often sticks close to other puppies, not the one that likes being alone or always lagging. You want a puppy that isn’t fearful, that doesn’t cringe or get scared when other people try to pet him. You can determine if the puppy is non-fearful if he approaches people easily. If he does, he is likely to bond closely with your family. Golden Retriever Cocker Spaniel Mix is not as typical as other breeds of dogs. Because of that, the likeliest place where you can find one to buy is at a pet store, in classified ads, or craigslist. Make sure that you find a reputable rescue or breeder to be sure it is a great breed. Breeders are not your only option to get a Golden Cocker Retriever as a new member of your family. Even better than buying a puppy, you can head to your local rescue center or shelter to adopt a Golden Cocker Retriever that is already fully grown. Choosing to adopt from a shelter is an ideal option if you wish to avoid having to raise one of the pups yourself. Of course, you have to consider that some of these dogs might have some issues. For instance, they could have behavioral issues which are why they have been abandoned. While that may be so, there are homes and owners that these Golden Cocker Retrievers will suit as a companion. Adopting is a better choice than purchasing dogs to avoid dealing with irresponsible breeders who only really do it for money. Animal shelters are slowly running room with new animals coming in daily. More and more animals are needed to be adopted so that the shelter will have room for more and you can help with that. 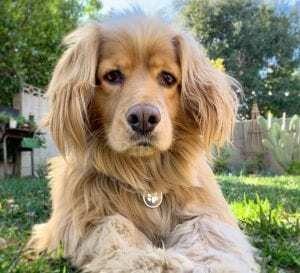 Just like other animals that aren’t adopted, Golden Cocker Spaniels might get euthanized if shelters can no longer take in any animals. In that case, you can help by adopting from your local animal shelter or any human society. You don’t only help to make space for other animals. You are also saving a life and putting smiles to the abandoned pets. So, if you decide to adopt instead of buy, head to a shelter now, meet your Golden Cocker Retriever and handler and see if he is a good fit for your home. The costs of caring for this breed averages at $500 to $1500. He will need some basics such as a collar and a leash. 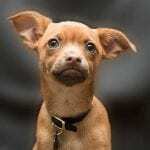 He will also have to get some shots, to get dewormed, and get a microchip that will cost around $450 to $550. Besides these initial costs, you will also have to think about ongoing costs. These ongoing costs include non-medical and medical expenses. For the medical costs, it could consist of pet insurance, health check-ups, vaccinations, and more. It can cost around $480 to $600. As for the non-medical expenses, it includes license, food, training, treats, and toys among others that can cost around $500 to $600. The Golden Cocker Retriever is an excellent companion. It is a dog that is full of energy, steadfast, loving, and warm. He will keep you active and happy, comforts you, and will always be a companion you can trust to be loyal to you. All he needs is your time to give him plenty of exercises and love him just as much as he does to you.